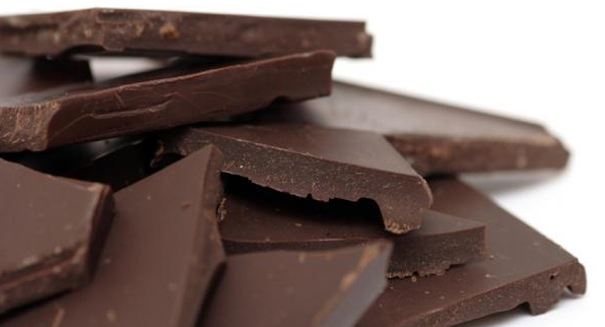 Researchers are working with a major chocolate company to bring the electrified, low-fat chocolate to the stores. If you’re a chocoholic but worry about the fat content in your chocolate bar then you may be in luck. Scientists may have found a way to blast that fat using the unusual method of electric currents according to a report by NPR. The team of physicists from Temple University, led by Rongjia Tao, discovered that sending electric shocks through milk chocolate, which is high in cocoa butter, reduces the amount of fat by 20 percent. The study was intended to find out a better way to improve the viscosity of chocolate so it can be easily sent through the factory pipes during the production process but to do this, you need to add more cocoa butter – something they want to avoid. Tao explains that chocolate is a ‘smart fluid’ which means it can thicken quickly and substantially when an electric shock passes through it. Cocoa particles need the oil from the cocoa butter to keep the particles moving and create a liquid flow but with the help of the electric current, the cocoa particles can keep its viscosity by changing its microstructure, creating more room within the chocolate and better movement without the need for the cocoa butter. While this may mean healthier chocolate bars for us, the worry will be if the change in microstructure will affect the taste and texture of our beloved chocolate. Some tests have been carried out with some believing the electrified chocolate tastes better although the texture is in danger of being more dry and brittle. The team is now working with a major chocolate company to try and bring the low-fat treat to the mainstream.